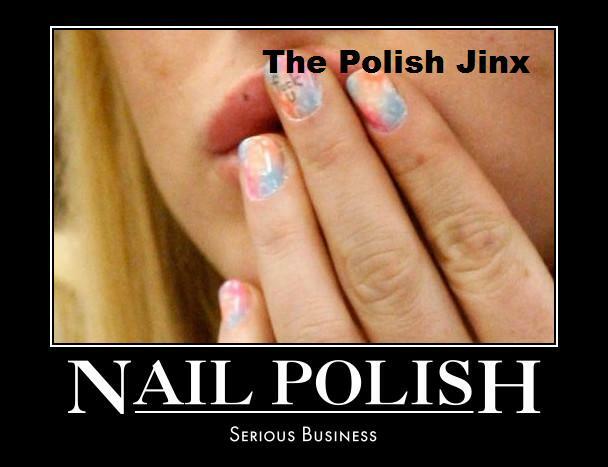 The Polish Jinx: Sephora VIB Rouge Reception Event & 4X The Points! Sephora VIB Rouge Reception Event & 4X The Points! 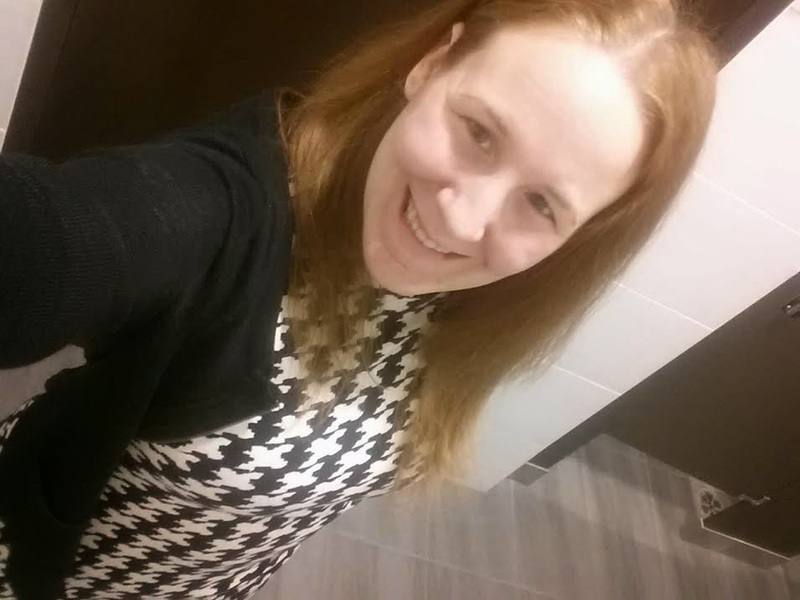 Now I must say, even as I write this, I am very frustrated with Sephora. We hear them go on about how great being rouge is and there are truly very few perks that normal VIBs dont get. So to only know about a VIB Rouge event from online chatter is beyond frustrating. I AM a VIB Rouge. So why is it that I didnt get (or any friends of mine who are VIB Rouge) get an invite? GRR! Attention, all Sephora VIB Rouge, VIB and Beauty Insiders! 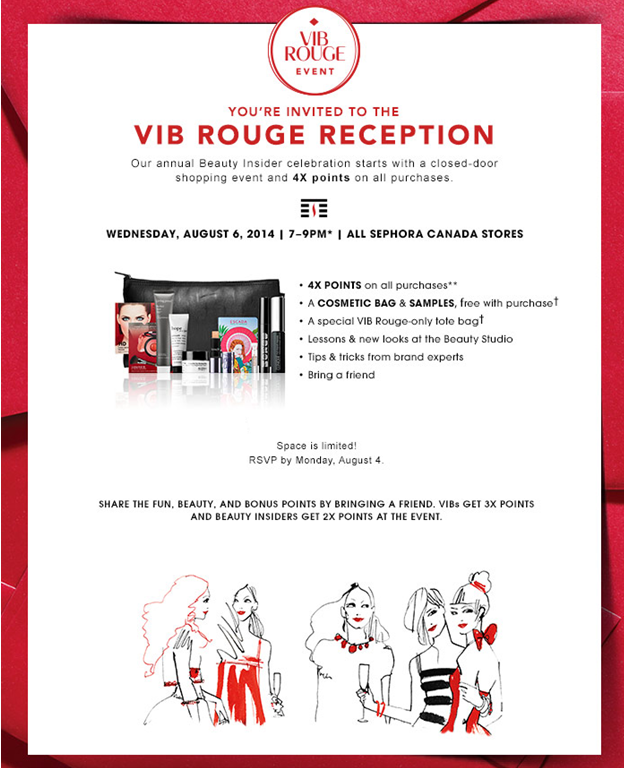 Sephora is hosting awesome points event, and a VIB Rouge-exclusive reception event! Pictured is the exclusive invite for VIB Rouge members – Sephora is hosting a closed-door/private shopping event in most US/Canada locations. For VIB and beauty insiders, you get to celebrate with 3x or 2x the points on your purchases! You can sign up for the event HERE which will be taking place on August 6th from 7-9PM (the date in the USA is different). NOTE - Sephora Cosmetic Bag with samples and Rouge Tote Bag are only available in Sephora stores during the VIB Rouge Reception with any merchandise purchase of C$50 or more. Limit of one of each offer per VIB Rouge client, non-transferable. Guests of VIB Rouge that are Beauty insiders are also eligible to redeem theSephora Cosmetic Bag with samples with any merchandise purchase of C$50 or more, limit one per client. Valid while supplies last, quantities are limited, sample bag assortment may vary. Not valid on previous purchases or purchases of gift cards. Sephora employees are not eligible for offers. No returns or exchanges. 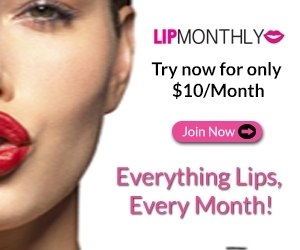 These offers are subject to change, alteration or termination by Sephora in its sole discretion at any time.